Do not install rebound modules! In the case of installing modules affecting impact or sights, do not forget to shoot weapons (with a small margin of at least 5-7 shots), paying attention to what direction the trunk moves, up or down, and if you need to correct the sensitivity in the game, or lowering, for example - the flame arrester reduces the recoil, accordingly it is necessary to lower the sensitivity in the aiming. When installing the sight with increasing magnification, increase the sensitivity in the settings according to the sight, without changing the overall sensitivity, so you have one macro for shooting from the hip and aiming. For macros using the sights modules, the sensitivity differs from the main one and with the multiplicity in the aiming from the x2 sight, the sensation is reduced by 12% (the unit is approximately chosen by GGMacro) - this is made for convenience in sniper modes and increasing accuracy! On a newly selected weapon, a single type of shooting will be included. When selecting a macro of another type of shooting, do not forget to switch! Only macros for the internal memory of the mouse are not visible to BattlEye by 100%! Chit program and fashion for the RUBB for full suppression of returns injected into the game! Do not believe those who say that the EXE program is not injected, without it it does not work! The risk of getting a BAN for using a cheat program or a fashion for RUBY is very high! 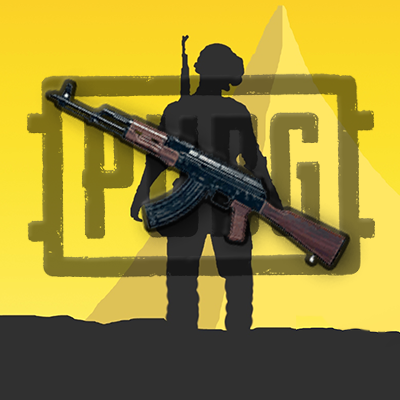 Macros for the game PUBG written for the mouse A4tech X7 and Bloody on the weapon without modules, consider when installing additional equipment, their impact on the impact! The weapons in the game have a strong scatter and nominal accuracy only in the first shots, then a random design, which, accordingly, does not allow you to write macros with a high precision clamp. Using modules that reduce horizontal and vertical dispersion at a high rate of fire will slightly increase the accuracy, with a decrease in the rate, the increase in accuracy with such modules is more noticeable! The weapon has 3 variants of shooting: single, burst and automatic. The best accuracy can be achieved when shooting single, but for a short distance, the fully automatic clamp will be more effective. Which mode to use the choice is yours!